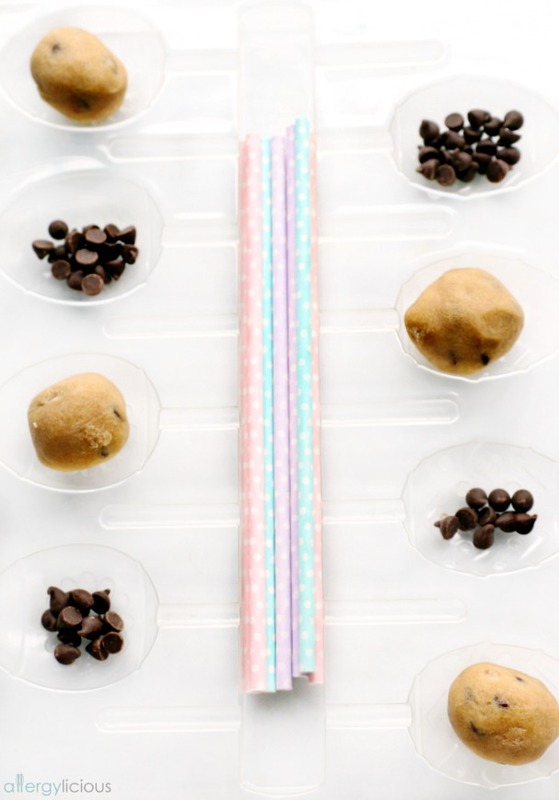 Fill your Easter basket with these delicious, no-bake, allergy-friendly Chocolate-covered, Chocolate Chip Cookie Dough eggs. 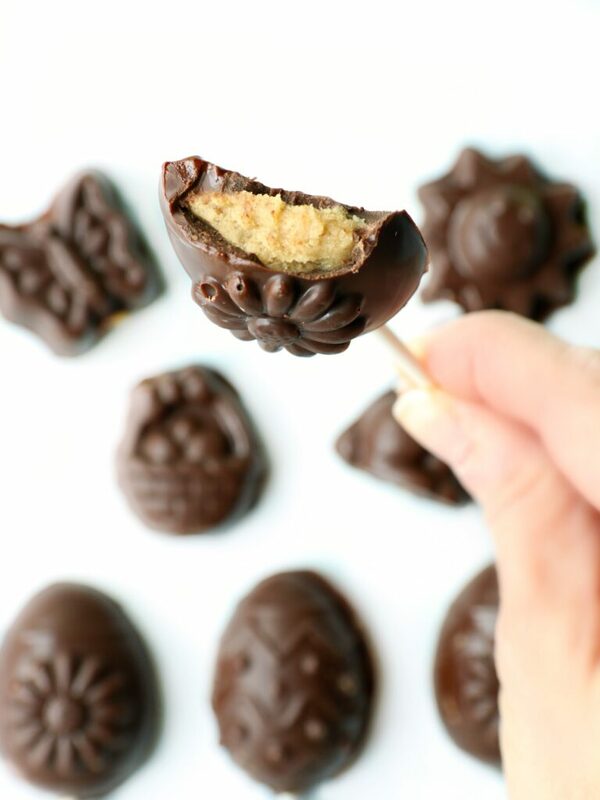 It’s hard to resist these vegan Cookie Dough Easter Eggs, which is why they are a perfect choice for Easter dessert ….. Cookie dough + chocolate = the best combination! This Cookie Dough Easter Egg is no stranger here at Allergylicious, it’s just taken on a new shape…the Easter Egg. And since Easter is only a few days away, I decided to turn my allergy-friendly & vegan Cookie Dough Cup into a treat that would make the Easter bunny jealous. That’s right, no one will care about what’s he’s got in his basket when you have Chocolate Chip Cookie Dough eggs to hand out. These bite-sized, chocolate-covered treats are easy to make, yet incredibly decadent! 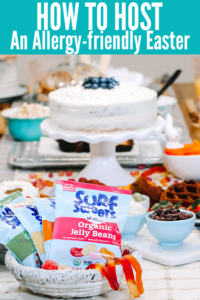 Although I wouldn’t call them healthy, they are vegan, gluten-free & nut-free which makes them the perfect dessert for anyone with food allergies, sensitivities or for those who follow a vegan lifestyle. Why shouldn’t we be able to splurge every once in a while too, right? Especially during the holidays with everyone else. Chocolate candy lollipop candy molds aren’t that expensive and are fun to bring out and use during the holidays. It’s just nice to have some fun molds on hand, even if it’s just to make shapes out of melted chocolate. 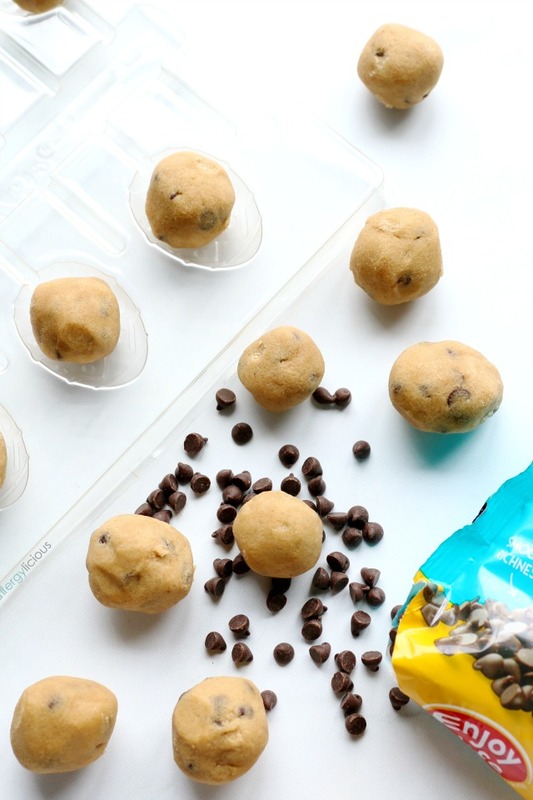 But for these Easter treats, we’ll be adding an extra step….a layer of edible cookie dough in the center! YUM! Remember when I said that these were easy to make? Well, they only require 3 simple steps. 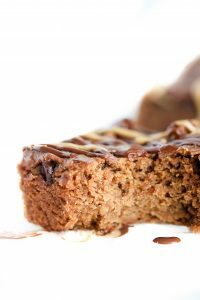 Simply melt vegan chocolate (we love Enjoy Life Foods), coat the bottom of the mold then freeze. Make cookie dough (or if PB is your thing, make our SunButter or Oreo Truffle filling instead) & press a small amount on top of the hardened chocolate. Cover with melted chocolate and freeze 5-10 minutes. 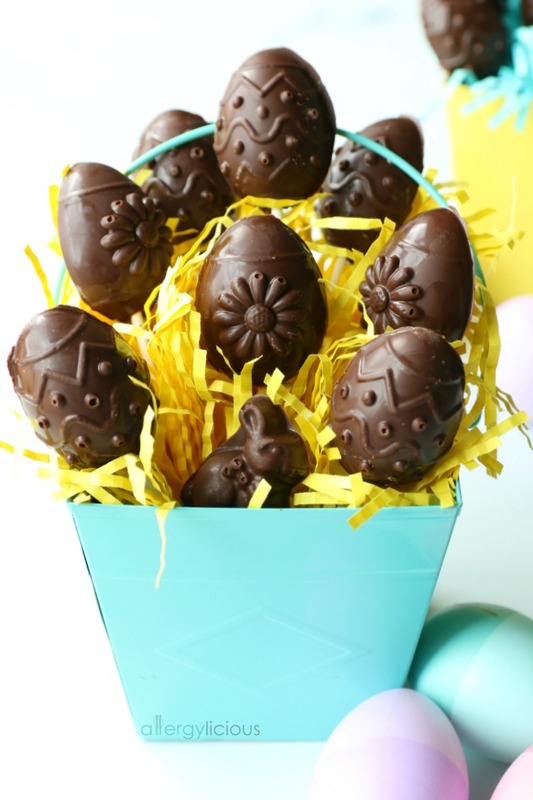 See….beautiful, chocolate Easter Eggs, filled with delicious cookie dough… You just can’t go wrong with that combination. Sooooo, what are you waiting for? 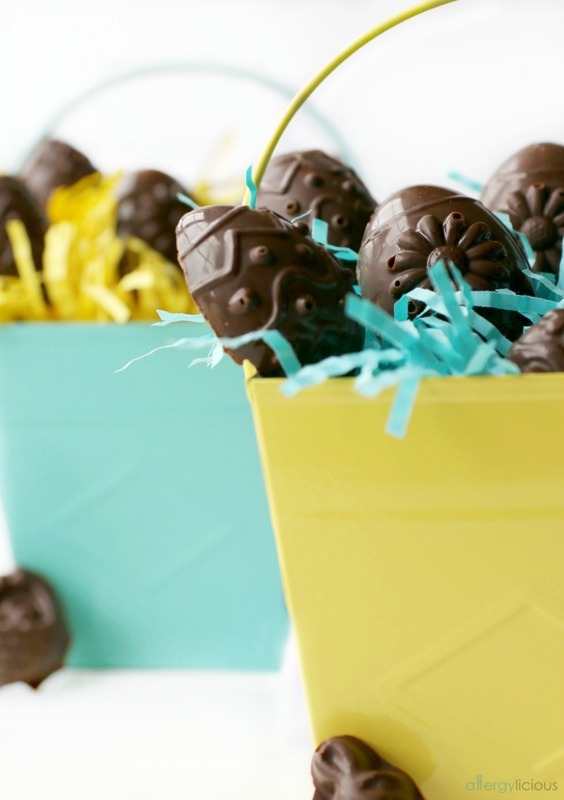 You have some Chocolate Cookie Dough Easter Eggs to make. 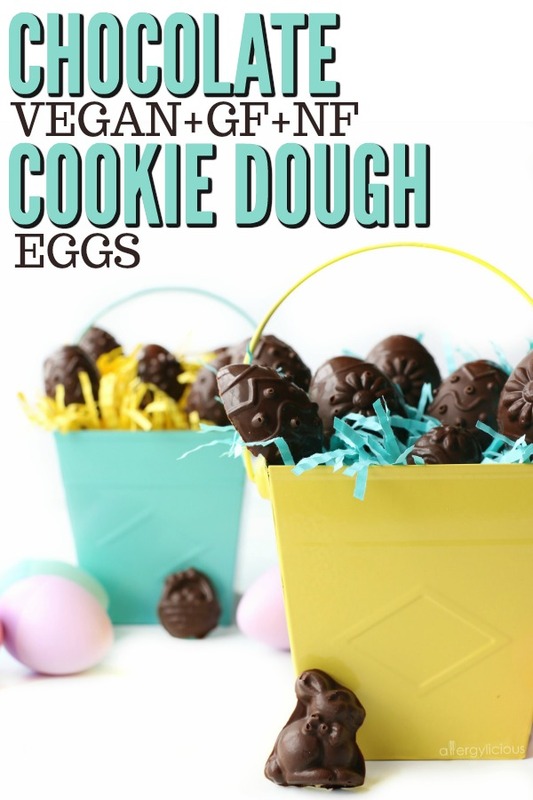 Chocolate Chip Cookie Dough Easter Eggs (Vegan, Gluten-free, Nut-free)- Fill your Easter basket with these delicious, no-bake, allergy-friendly chocolate covered eggs. Melt 1/4 cup of chocolate chips in a small bowl and stir to make smooth. Pour up to 1 tablespoon of melted chocolate into each mold and push up the sides to coat the entire mold. (Amount of chocolate will vary based on the size of the mold.) Place in freezer. In a medium bowl, cream together butter and sugar(s). Stir in flours, salt, vanilla and 1 cup of chocolate chips. Add water, 1 tablespoon at a time, stirring in between until the dough reaches desired consistency. Remove hardened chocolate from freezer and add a small scoop of dough on top, pressing into the sides (but leave room on the top for more chocolate). Add your lollipop stick now, if using. Melt another 1/4 cup of chocolate chips then pour onto the cookie dough layer to create the base of your candy. 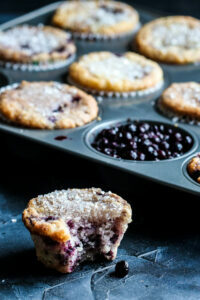 Freeze up to 10 minutes, then pop out of molds and refrigerate until ready to share. Can use without lollipop sticks. *You can also melt chocolate all at once but I like to do it in sections, to avoid re-melting the some of the same chocolate. Sign up for the Allergylicious newsletter for a fresh serving of content delivered every week to your inbox! Grab a copy of my eBook and stay in touch on Facebook, Twitter , Instagram and Pinterest for all of the latest updates. So cute! These would be great to take to my son’s school party. I always try to take something allergy friendly for him to share. These are perfect for my secret cookie dough obsession. Oops…not so secret now, is it? These sound delicious! OMG! These areas cute! I make cookie dough balls all the time, but nothing this festive. You’re inspiring me to be more creative in the kitchen. Kaila, it’s hard to resist a cookie dough ball, isn’t it? I can’t wait to see what creativity you bring to your next batch. Your creativity is inspiring. These sound delicious and kids really go for anything on a lollipop stick! And it keeps little hands from getting melted chocolate on them too. I seriously need these! Seriously so fun and cute and they would make for a great gift! I thought it would be so much more difficult to make these that it is. Thank you for such a great idea and recipe, Nicole!! Happy Easter to you and your family. Oh yes….super easy to make! And Happy Easter to your family as well. I have your “Brisket” on my list to make this weekend …..can’t wait. This recipe is amazing! How cute would these be for our holiday dinner this weekend! Totally love this and how it brings the festivity of the season for vegans! Thanks Marly! 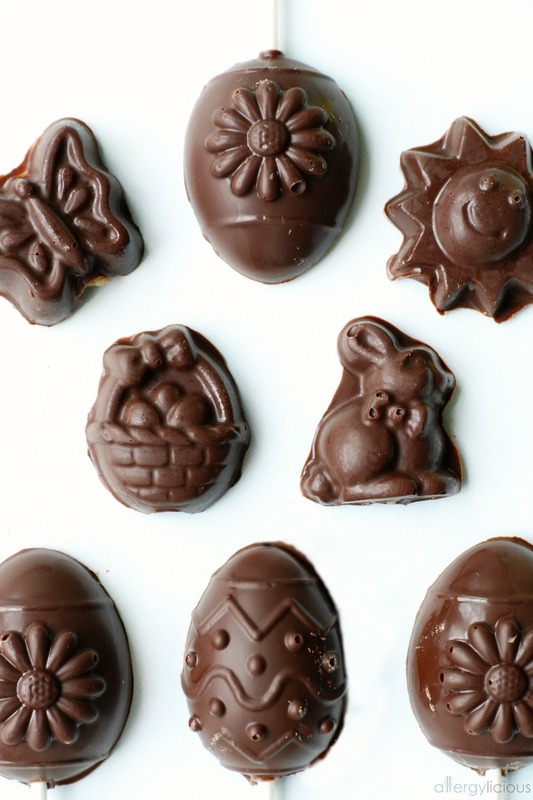 All you need are a few different holiday molds and you can make these any time of year. These are beautiful, I love your creativity and busy-mom approach to getting the most wow out of something simple. LOVE!!! How perfect for Easter!! This is such a great idea. I love the cookie dough filling. Delicious! these look perfect for Easter actually just anytime. WANT WANT WANT. These are just the cutest idea ever! I want to try these with some unicorn molds I have!! I bet those would be adorable! Those look phenomenal Nicole! They definitely wouldn’t last long in our house. They didn’t last long here either. These are just toooooo darn cute. Seriously!